The theme is clear when you look at the title: Resident Evil. What it actually is is the gigantic mansion of Resident Evil (1) for those who dont know: this is horror adventure type playstation game. The textures are all from the halflife.wad. 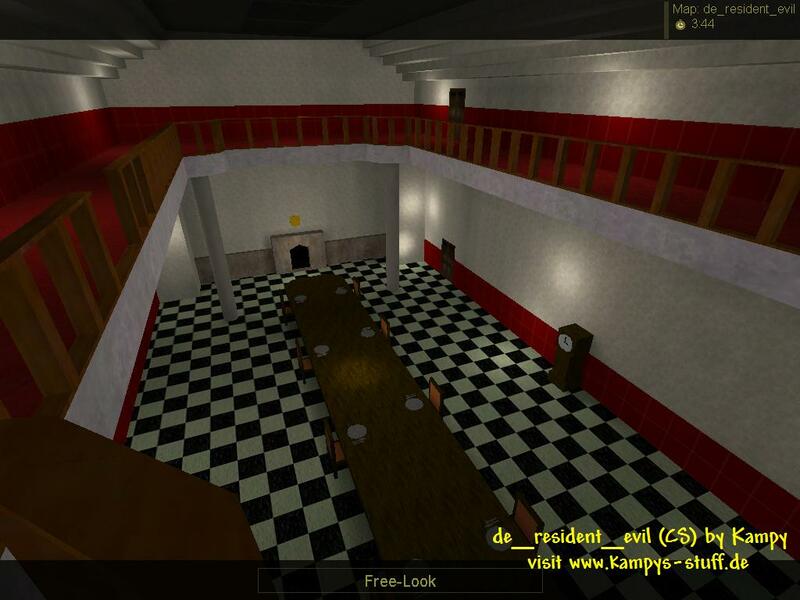 de_resident_evil is huge - there are two big rooms, one is the main hall and the other the dining room and a lot of corridors and other rooms. If you dont know Resident Evil you might get lost. The two big rooms have pretty high r_speeds, because the engine can see through both of them at the same time. Since the map is very big you should at least have four people playing it who know Resident Evil or the map. There is a second version out for Counter-Strike with new textures, r_speeds improvement and some grafic and gameplay bugs have been removed. 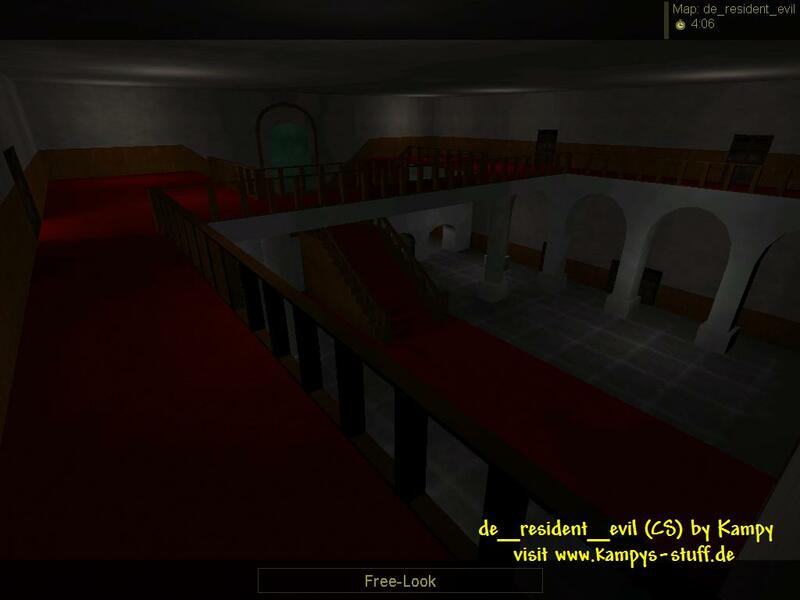 The Counter-Terrorists start near the main hall and have to prevent that the terrorists bomb it. The terrorists start on the other side of the mansion in a lot of different rooms. if youre a RE fan you should check out the second version of this map. - at the shotgun there is a shotgun imitation at the wall - pull it down and it activates a trap in the room next to it. The ceilling comes down and smashes everythin in it.